A brand new addition to our collection of antique French and shabby chic furniture comes this marvelous chair. 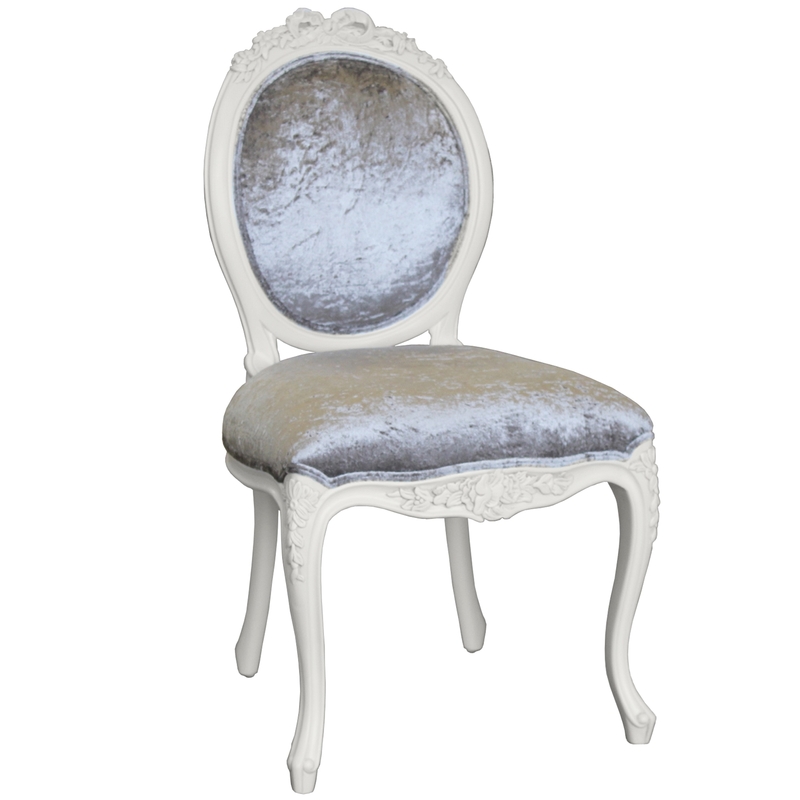 Handcrafted and carefully built by experts, this delightful chair, upholstered in a beautiful silver fabric, this French style chair with a supportive backrest is perfect used as an everyday seat or a dressing table seat. Sure to impress across generations, this chair will astound.